The Alba Quilt by Matouk is made from the Nocturne sateen collection. A delicate, small-scale pattern is quilted on the bedding and filled with poly batting. This collection is made in the US from fabric from Italy. Available in neutral colors in quilts and shams. 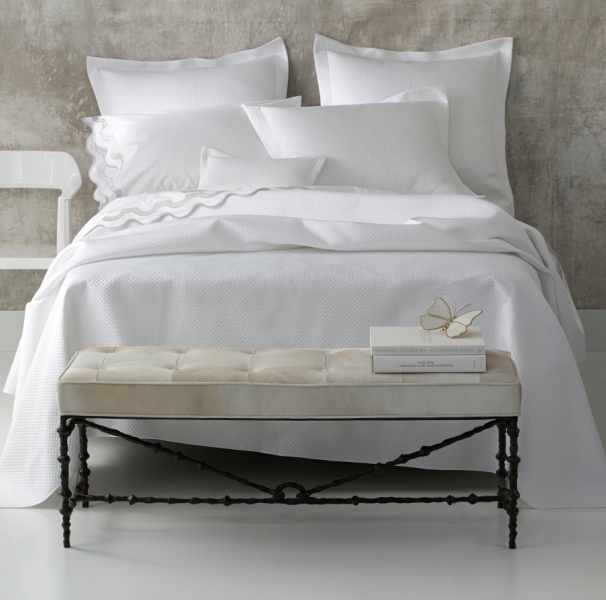 The Alba Quilt is a simple and classic collection.